To begin receiving email alerts please provide the requested information below and select the newsletters you'd like to receive. 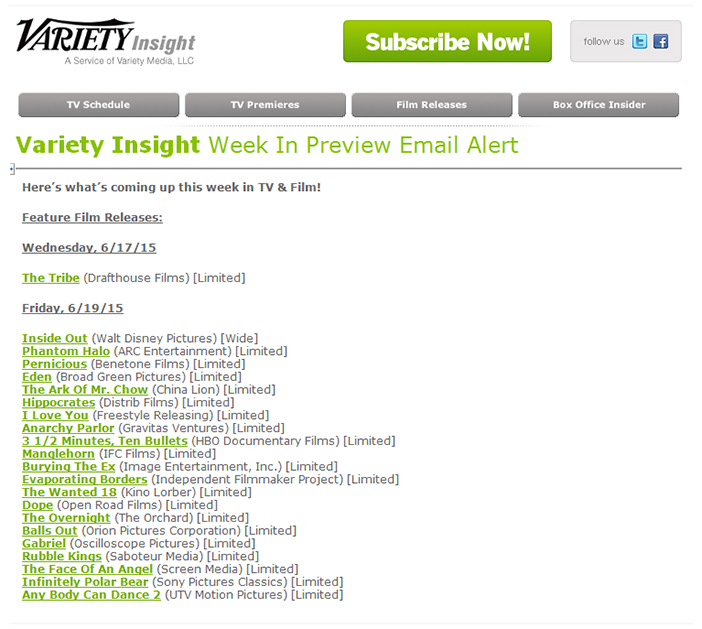 To subscribe to Variety Insight's premium Email Alerts please click here. 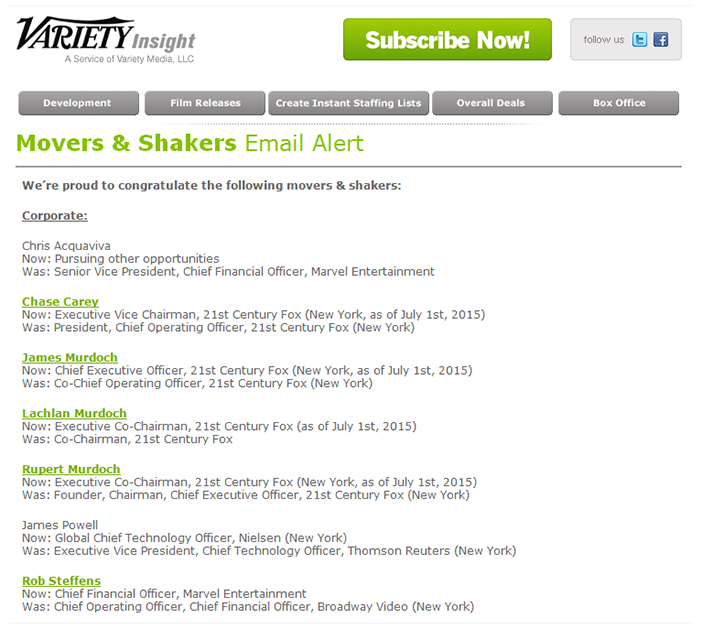 Movers & Shakers details all the promotions and new hires across the entertainment business each week. With Movers & Shakers alerts you'll be able to build meaningful business relationships with your colleagues who are on the fast track in entertainment by being the first to know who's been promoted or newly hired. Variety Insight Week in Preview covers a full schedule of feature film releases, as well as TV premieres, finales and specials for the upcoming week. Never miss the next big hit in film or TV by reading this email every Friday morning! 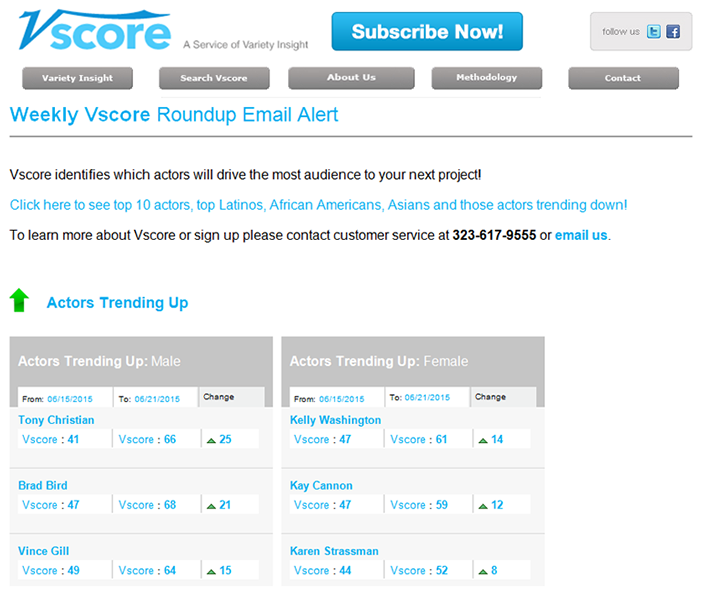 Vscore Trending Actor Alert displays up-and-coming talent determined by their social media presence and their acting experiences. 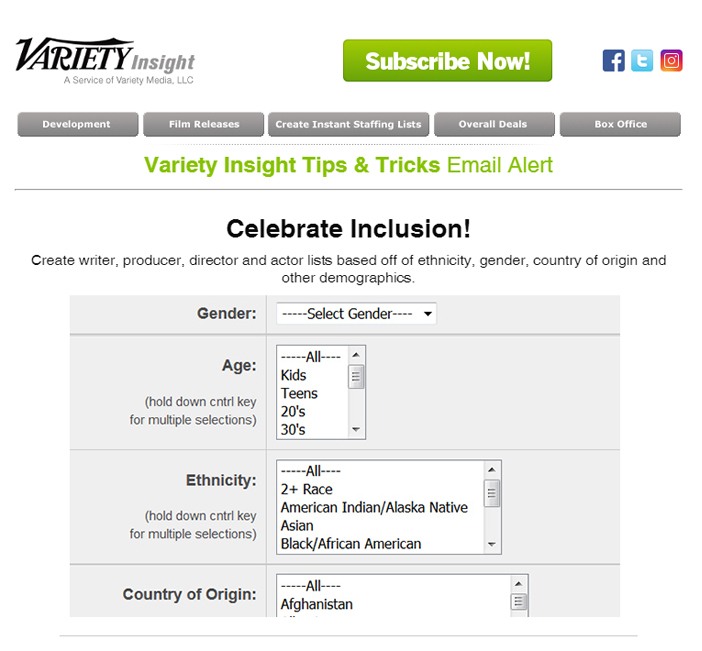 A monthly Round Up of new and improved features on Variety Insight and Vscore that ensures you get the most of your subscription. 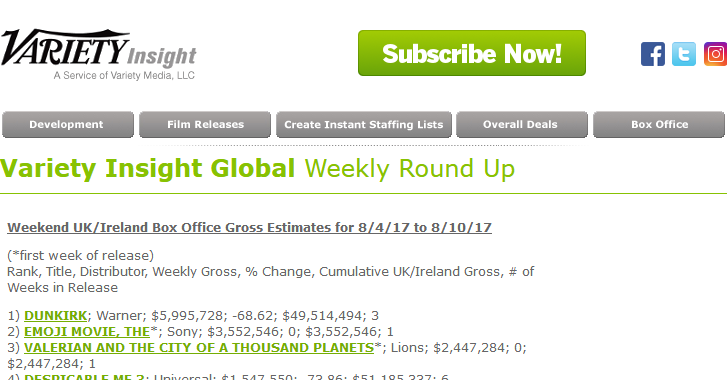 Variety Insight Global Weekly Round Up Email Alerts keep subscribers updated on the what's coming up for TV, Film and Digital in the UK and Canada, as well as ratings and box office data. © Copyright 2019 Penske Business media, LLC. All rights reserved. X Your email address is already registered. Upgrade to premium email alerts. X Success!! You have subscribed to the following alerts.